Did you know that if you mow on a specific days in the month, you could mow less in general? Before being skeptical, just imagine it. It is a well-known fact that the Moon influences way more than an ocean tide. It influences human's health essentially, you could have even felt it yourself. I often experience the change in my health during different Moon phases. If you speak to any doctor from traumatic department, you will surely find out that during the full Moon phase the amount of injured people remarkably increases. It is connected with the fact that during full Moon phase people are more energetic and adventurous that causes traumas. Though many scientists defend the opinion that the Moon has nothing to do with influence on people and flora and fauna, the facts gotten from observations tell us the opposite. You could have even experienced it on yourself. Make a self-research and compare how you feel during different Moon phase and you'll see the regularity. And for the sake of intrigue, I'll tell you this: Most of people find gardening work boring, and what if you can mow your lawn not so often, if you mow it in a particular day of the month and phase of the Moon. How is it possible? – Keep reading, and I'll explain. I've read one National Geographic article that told about how more and more horticulturists nowadays adhere to the Moon calendar when they are planning their gardening season. The practice called moon\ lunar gardening is based on the Moon's gravitational influence on the liquid in ground and greens. Lunar gardening is as old as the Earth. It has been impacting the water processes in soil before the feet of human stepped on the ground, created any type of calendar and started gardening activity. Every 29 days the Moon finishes a full cycle. 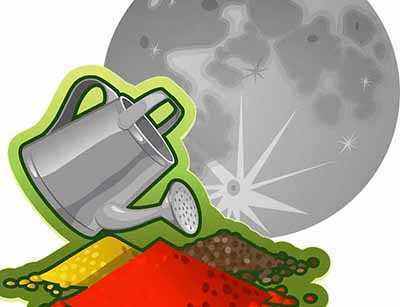 In order to use it for gardening, it has been segregated into 4 periods or phases, as we speak about the Moon. We use the word "phase" when speak about the Moon because it reflects the shape of the Moon as it can be observed from our planet. If you want to plant by lunar phases, you are going to need a calendar (or almanac), the most obvious example is a as Ed Hume's Planting Guide, as it shows accurately the timing of the Moon's phase. The Moon month begins with the new Moon, sometimes people call it "the dark of the new moon". 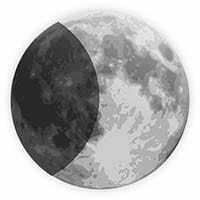 From the new Moon to the first period and from the first period to the new Moon, the Moon changes its shape into a crescent and later into a full-circle during the middle of the month. 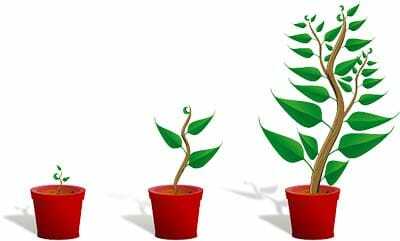 These periods include the phases of growth. If you have a lunar calendar with distinct phases of the Moon, you can understand when each period takes place and underline the type of harvest they refer to. You can upgrade the calendar up to your demands. Usually, everyone thinks that 12 Zodiac signs are entitled to certain months, but each month itself is divided into 12 Zodiac signs again. Each sign has a kind of harvest connected with this month. When I look at my calendar again, now I see that in term#1 Sunday, 13 June is a Moon in Cancer, and I know that it is the most suitable day to set leaf cultures like basil, spinach or sowing of other culture. To clarify the fruit cultures: here I mean everything that has seeds in the edible part of it, so such cultures as girasol or cucumber in our case are called fruits as well. During the first and\or second period it is best to plant annual flowers, but perennials refer to the third period. You can easily find alternatives to such Moon planting calculation, but you'll see that it differs slightly, as most of people use such system. Try this system, and I'm absolutely positive that it will prove its efficiency. If you are not satisfied, at least, it won't be harmful. 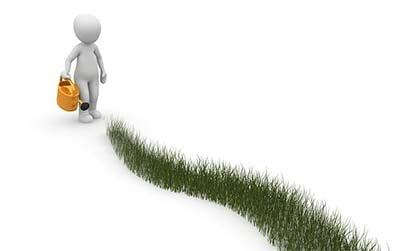 But, if you do everything right it will boost the growth of your harvest. There are a lot of controversies on who created the concept of the calendar for moon planting. Observations of the growth rate of different plants during different phases of the moon spiked a desire to study the phenomenon.